The BRICS nations’ New Development Bank says it is already ahead of its goals of providing necessary resources for developing sustainable infrastructure projects among its member countries. The bank’s president told the SABC News at the end of its two-day meeting in Cape Town that at least U$1,5 billion in loans have been provided to South Africa since 2016. Eskom, Transnet and few other parastatals are some of the bank’s beneficiaries. The bank’s president says the sluggish global economy and other risks such as tariff wars and Brexit will not stand in the way for its objectives. 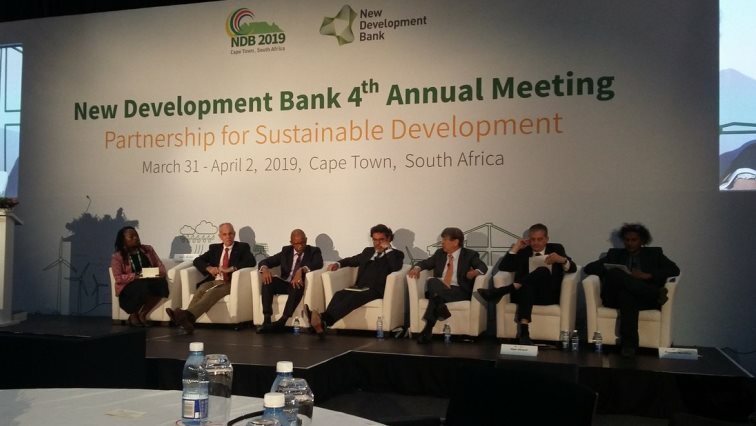 “Very interestingly, we don’t find these challenges in our member countries and the reason also is that there is that are there around the globe are not impacting our member countries,” says NDB president K.V. Kamath. He reiterated the bank’s intention of focusing on sustainable infrastructure development. The governors of the bank, under the leadership of Finance Minister, Tito Mboweni, are looking at expanding the bank’s reach beyond its five member countries, in order to raise funds from other markets at cheaper rates. The Bank has already disbursed billions in loans to its five member countries. South Africa can expect to receive over R2 billion in investment from the bank every year. The post BRICS Development Bank ahead of its objectives appeared first on SABC News – Breaking news, special reports, world, business, sport coverage of all South African current events. Africa's news leader..